If you’re in beautiful San Diego for New Year’s, you’re in for a real treat. Forget waiting around in frozen tundra Times Square, San Diego is the ultimate place to be during the New Year celebrations. Here is how to celebrate New Year’s in San Diego like a local. At Humphreys, you can have it your way. Enjoy a relaxed evening at Humphreys Backstage LIVE, ring in the new year with Detroit Underground, dancing, party favors, and a champagne toast for $80/person. Extend your evening on property with our Dance the Night Away Package. If you wish for a more elegant New Year Experience, you’ll love our Elegant Affair Package. Held in our beautiful Humphreys SoCal Dining & Music, this package features overnight accommodations, a four- course dinner at Humphreys Restaurant, a champagne toast, and a live performance by The Fabulous Ultratones. Ring in 2019 in style by hitching a ride on this all-night party yacht! For the adventurous NYE enthusiasts, don’t miss the San Diego club crawl, ending at PARQ, a premiere nightclub and lounge in the Bankers hill neighborhood. What’s not to love about ringing in the New Year while lounging on the beach? 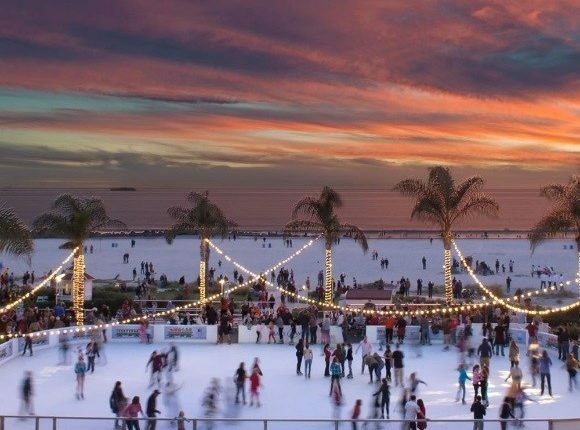 It’s no secret San Diego has a plethora of gorgeous shores to choose from, so why not host your own beach countdown party! Or, have your own NYE celebration! Humphreys is the perfect place for an all-night New Year’s extravaganza. Whether you want to plan a glamourous hotel throw down, or a chill night in with loved ones, ask our staff how Humphreys can help you ring in 2019 right.